Be a Superstar for children. Join our Monthly Giving Club today! Your automatic monthly support makes you a partner in our mission to cure the kids. As a Superstar, you’ll join thousands of donors who are dedicated to helping children in need. Your commitment to kids will truly make a difference in their lives. Why be a Monthly Giving Superstar? Your monthly donation is both effective and convenient, and your gift provides a steady and predictable source of income that will fund years of research and family support for children suffering from childhood cancer. Become a Monthly Giving Superstar at any level beginning with $25 per month ($300 per year). Your monthly donation can be changed or canceled at any time. If you are currently a monthly donor and would like to update your donation, email us at donations@curethekids.org for assistance. Established in 1991, the Pediatric Brain Tumor Foundation has grown to become the world’s leading nonprofit funder of childhood brain tumor research. We invite you to invest in our future by joining our Founders Club. This elite group of monthly donors commits to give at least $166 per month for a total of $1,991 per year. 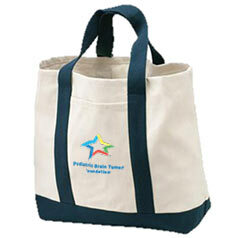 Members receive Superstar benefits as well as a custom PBTF logo tie or scarf. Click here to get started.